With the increasing popularity of ‘staycations’ – holidays here in the UK, or within easy driving distance – Ireland or northern France – caravans and motorhomes are becoming far more popular. And unsurprisingly, we Brits like the comforts of home with us, even during our holidays, both in the summer and in the colder times of the year – not a great shock when you think what the British weather can throw at us without much warning. 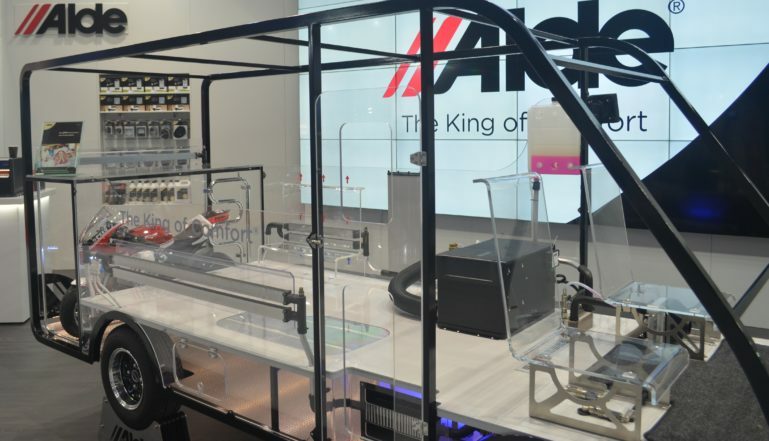 So it’s hardly surprising that leading specialists in mobile heating – Alde Heating – has decided to offer its customers the best of radiator solutions as part of their heating systems for caravans and motorhomes. 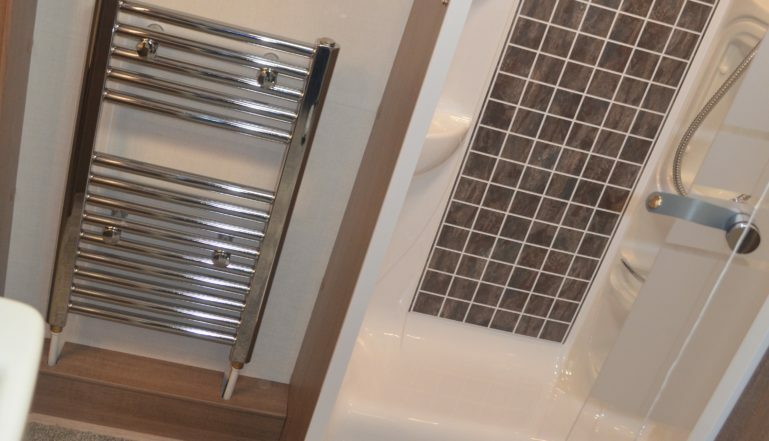 Alde has around 50% of the mobile heating marketplace here in the UK, working with the five largest manufacturers and a number of smaller ones too, and it has recently begun installing the Stelrad Classic Mini Towel Rail in its systems for the new range of Lunar luxury caravans. Alde developed its specialisation in mobile heating back in 1966 and has spent more than fifty years developing and enhancing its offering to the mobile heating marketplace. Alde’s purchasing manager Sam Durrant worked closely with Stelrad’s specification manager covering the Northamptonshire area, Chris Bowles, to select the relevant product for the requirement Alde had. The Stelrad Classic Mini Towel Rail is a member of the company’s Aqua Series of radiators, designed specifically for the kitchen and bathroom, and predominantly in the home, but it was only a matter of time before it was seen as a good idea to take one with you when you go on holiday. A radiator shouldn’t just be functional, it should also add aesthetic appeal to any room – and that is no different whether it be in a home or in a motorhome. It combines dependable performance with designer styling and adds a certain something to the bathroom/shower room area in the motorhome as well. “We’re delighted that our towel rails are being incorporated in these stunning new caravans and hope to see this niche market area grow for us in the next few years as the popularity of caravans and motorhomes increases,” says Stelrad’s Head of Marketing Chris Harvey. You can find out more about the Stelrad Aqua Series at www.stelrad.com. Stay up to date with Stelrad by following them on Twitter @Stelrad or via the Stelrad Facebook page @StelradRadiators.